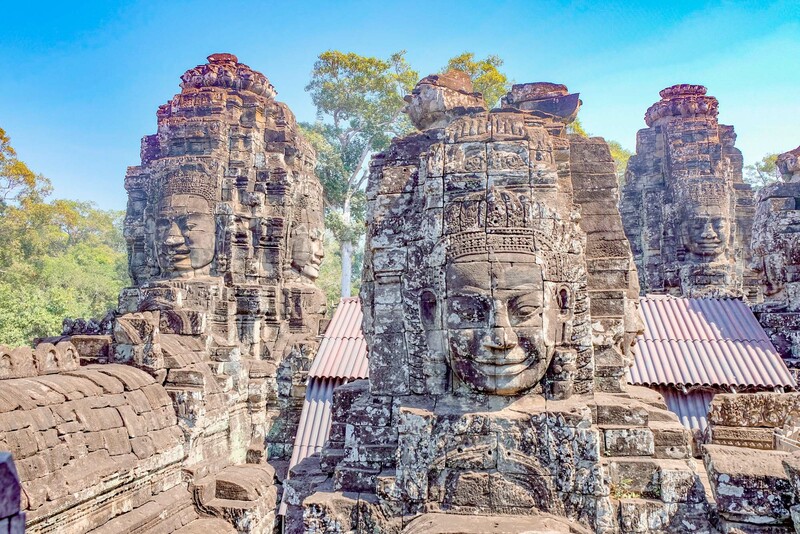 Without a doubt, the city of Angkor is one of the top attractions to anyone visiting the Southeast Asian region. 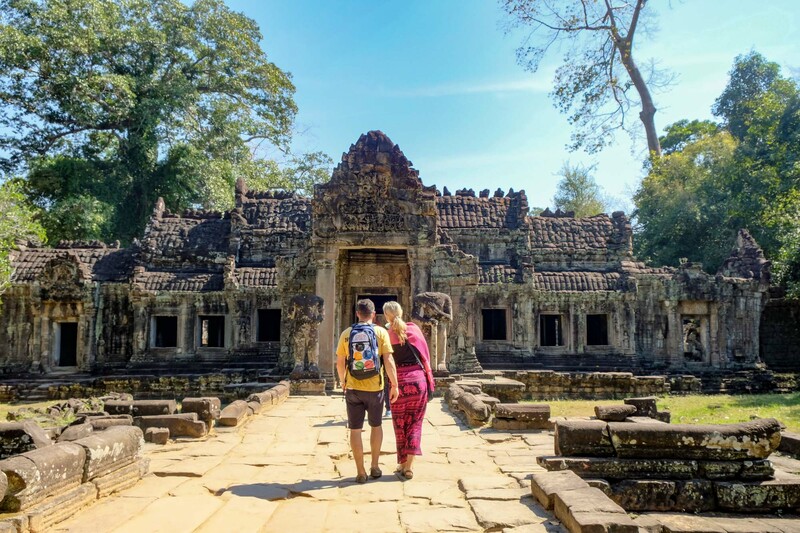 Known for it’s incredible ancient temples, beautiful sunsets and dynamic history, it’s easy to see why more than two million visitors flock to Cambodia to explore the temples of Angkor each year. It’s a highlight of any trip to Cambodia and a staple of travellers bucket lists around the world. Angkor Wat was one of the places we were most excited to visit in Cambodia. Although we had already come from visiting temples across Laos and Thailand, it was clear from the moment we landed in Siem Reap that these temples and ruins would be a very unique experience. Siem Reap was a welcomed relief from the endless cities we had been visiting. With it’s dirt roads, colourful buildings, cheap cocktails and smiling locals, we had already fallen in love with Cambodia before we even arrived in Angkor. 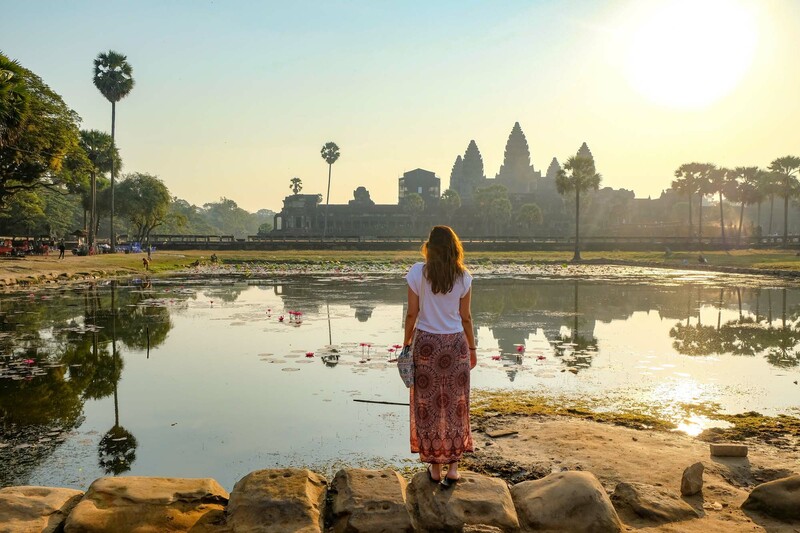 Although most people know of and travel to Cambodia to visit the infamous and arguably, most popular Buddhist temple of Angkor Wat, the region of Angkor is actually home to hundreds of temples and buildings that were built during the rise and ruling of the Khmer empire. After centuries of abandonment and neglect, the restoration efforts to restore the city to it’s former glory has been in full swings for a few decades now, and is definitely one of the most interesting and beautiful places we have ever explored. 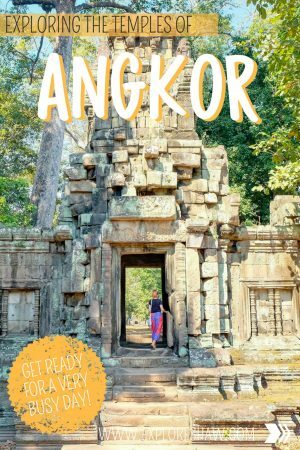 If you’re planning your first trip to Angkor, here’s a complete guide of everything you need to know to make that first trip go smoothly. Angkor is an ancient city, located about half an hour out of Siem Reap, that was the centre of the Khmer Empire in Cambodia, which once ruled most of Southeast Asia. 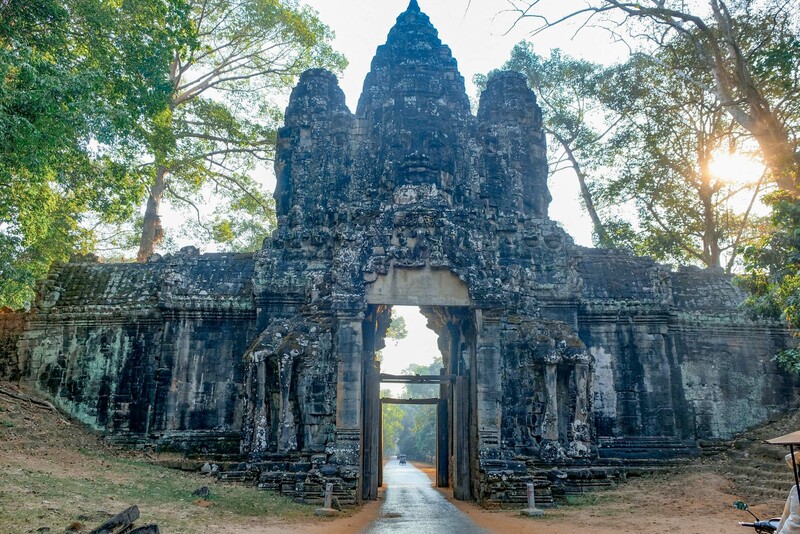 The Angkorian period began in AD 802, when the Khmer Hindu monarch, Jayavarman II announced the independence of Cambodia (or Kambujadesa) from Java, and declared himself a ‘universal monarch’ and ‘god-king’, and lasted until late in the 14th century. In Angkorian times, all non-religious buildings, including the residence of the King himself, were constructed in materials like timber, because ‘only the gods had a right to residences made of stone’. This means that like many other ancient cities around the world, the remaining temples, buildings and structures are all of religious significance to the time. Shortly after building the beautiful temples and buildings of Angkor, this civilization became extinct and the city was reclaimed by the jungle for hundreds of years. 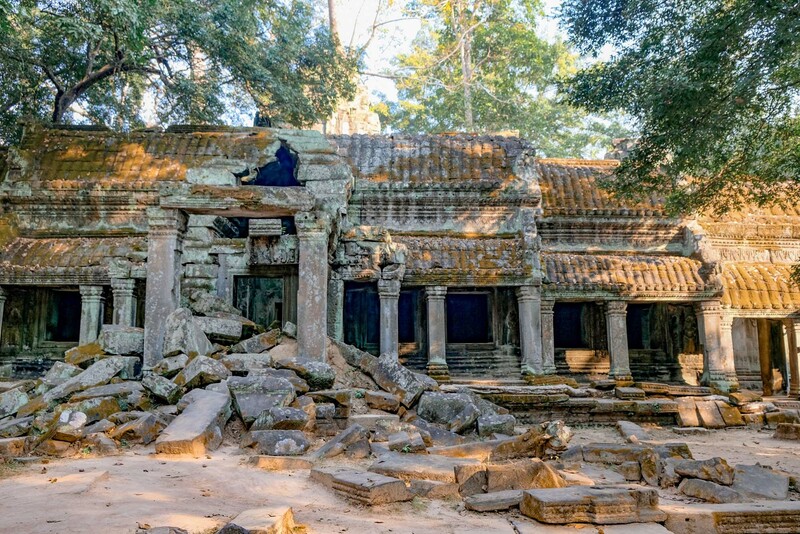 The end of the Angkorian period is generally considered to be around 1431, the year Angkor was looted by the Ayutthaya invaders, and it is believed that as a result the Khmer capital was completely abandoned, with the exception of Angkor Wat – which has always remained a Buddhist Shrine. 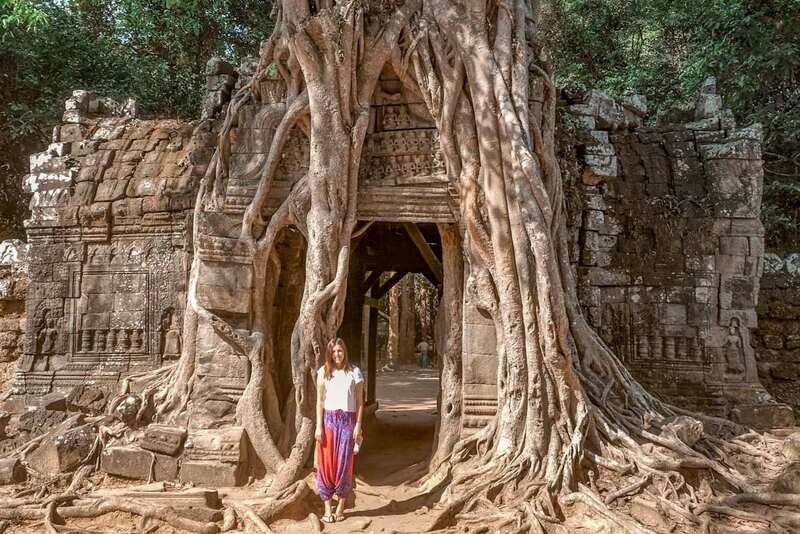 Cambodia’s turbulent history of wars and civil unrest, neglect, natural disasters and poverty took over for several centuries after the Ayutthaya invaders attacked, and Angkor was buried under a jungle. After a few different restoration attempts, work began at the end of the Cambodian Civil War to restore Angkor to it’s once former glory and since 1993 the restoration has been jointly coordinated by India, Germany, Japan and UNESCO through the International Coordinating Committee on the Safeguarding and Development of the Historic Site of Angkor. In 2007, a team of researches used satellites to take photos of the Angkor region and concluded that Angkor had actually been the largest pre-industrial city in the world, with an elaborate infrastructure system connecting about 1,000 square kilometres to it’s central temples. Although it is still being researched, it is thought that the Angkor region might have supported up to one million people. It has been suggested that there are over one thousand temples in the Angkor area, ranging from small brick rubble piles scattered through the rice fields, to the glamorous and infamous Angkor Wat temple – known as the largest religious monument in the world. 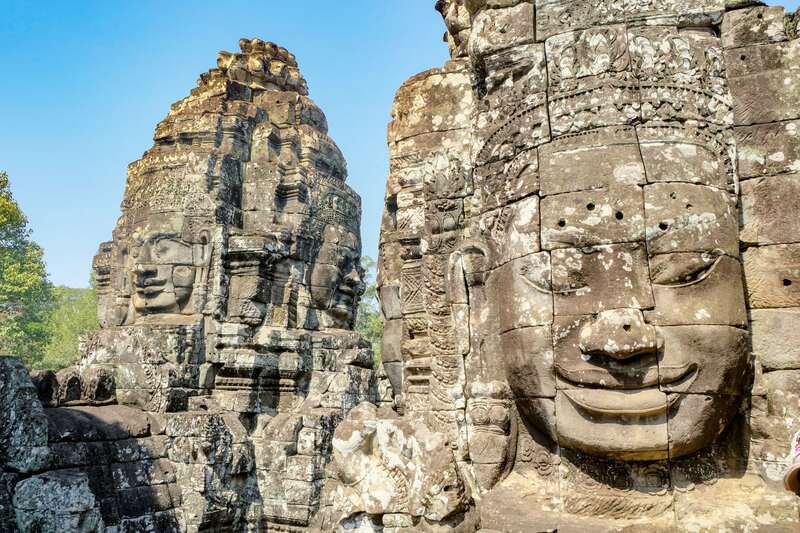 Many of the temples of Angkor have been restored and now more than two million visitors flock to visit the temples each year, which are now protected as a UNESCO World Heritage Site. Here are some of the highlights of Angkor and the most popular and famous temples. Angkor Wat is the most famous of the temples of Angkor, and is the largest religious monument in the world, as well as the largest pyramid in Asia. It was considered the earthly representation of Mount Meru, the Mt Olympus of the Hindu faith and home of ancient Gods. Unlike many of the other temples and Angkor monuments, Angkor Wat was never abandoned and left for the elements and jungle to take over, and has almost been in continuous use since it was built. One of the top experiences at Angkor Wat is to climb the steep staircase to the Bakan Sanctuary and look out over the monument grounds. You will need to line up for this, as only a certain number of people are allowed to the top at each time. We lined up for the Bakan Sanctuary right after watching the sunrise – we only had about a 35 minute wait (which was considerably lower than the 3 hour line we saw the day before) and as the sun was still rising, the golden views were beautiful at this early time of the morning. It is very important to dress appropriately if you’re hoping to visit the top of the Bakan Sanctuary, as this has possibly the strictest dress code of any of the temples, with people regularly turned away who are not up to code. 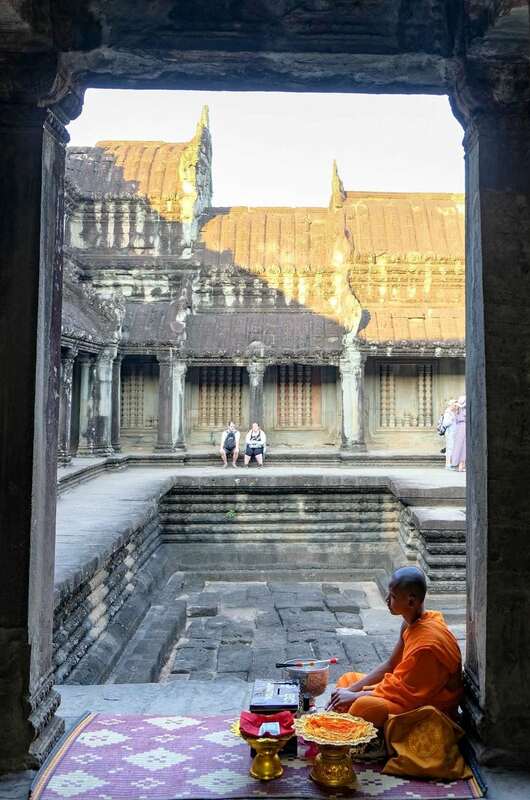 A very special experience within the walls of Angkor Wat was getting a blessing by a Buddhist monk. There are a few monks spread out across Angkor Wat. If you would like a blessing take off your shoes, kneel on their mat and place your donation into the bucket. The monk will sprinkle water over your shoulders while chanting a blessing at you, and then will tie a bracelet around your wrist which signifies good luck and prosperity. The blessing only takes a few moments and was a very moving moment. You’re not meant to remove your bracelet, but rather let it fall off naturally. Controversially, Angkor Thom is often considered even more impressive and beautiful then it’s more famous neighbour Angkor Wat. 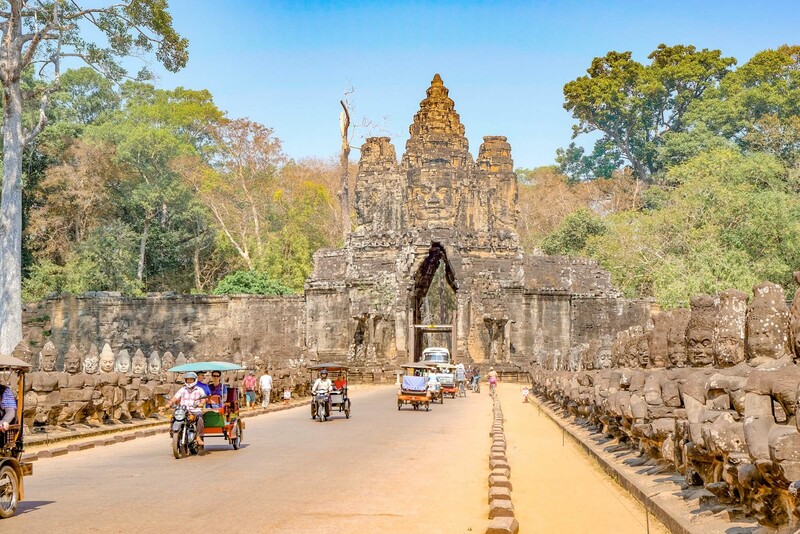 Known as The Great City, Angkor Thom is spread over more than 10 square kilometres and is home to many of the iconic attractions within Angkor, including Bayon, the four gates allowing access to the city, Terrance of the Leper King and Terrace of the Elephants. Make sure you take a moment when driving in, to appreciate each of the gates you drive through. 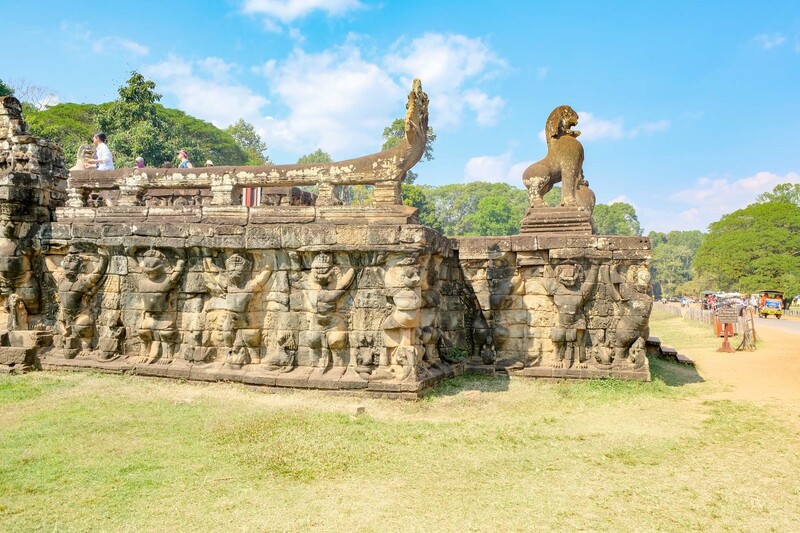 Most of them have been fully restored, including the faces of Jayavarman VII in the peaks of the towers, and the bridge leading to them are flanked by figures from mythology. Standing in the centre of Angkor Thom, The Bayon was built by god-king Jayavarman VII and is a multi-level complex that includes 216 carvings of his face across 54 towers. 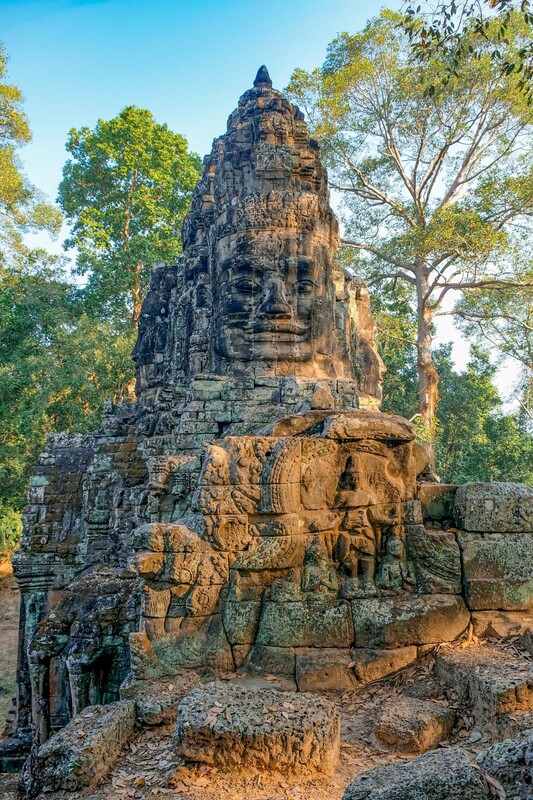 There is still a lot of mystery associated with Bayon, including exactly when it was built and what is was used for. 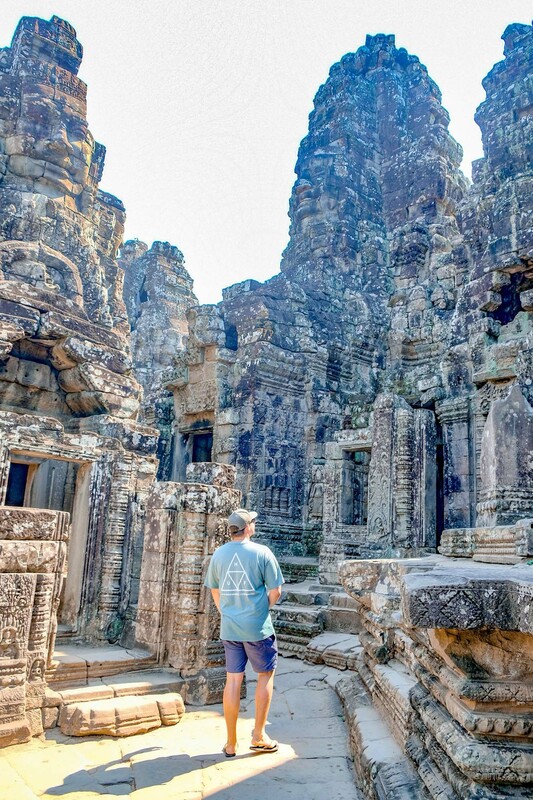 It can look a little average from far away, but much of the beauty of Bayon can be experienced when you get up to the top level and walk around amongst the many faces of the structure. From the top it is quite magical. This can be one of the hottest temples, as the towers offer very little shade and heat easily gets trapped in the passageways. It’s a good idea to visit either in the morning or afternoon, to avoid the peak heat in the middle of the day. 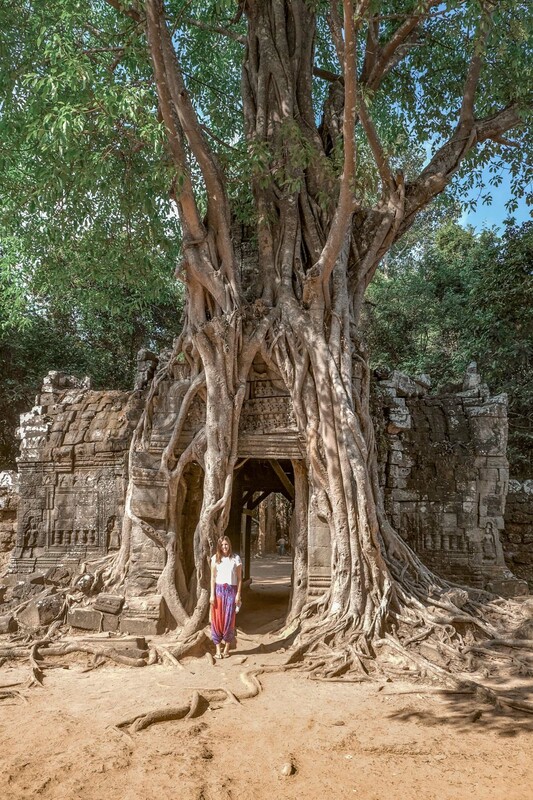 Still divided by trees and covered by the jungle, Ta Prohm is still exactly as they found it when they re-discovered Angkor in the 19th century. It is famously known as the ‘tomb raider temple’ as it was the backdrop for the 2001 movie Lara Croft Tomb Raider with Angelina Jolie. 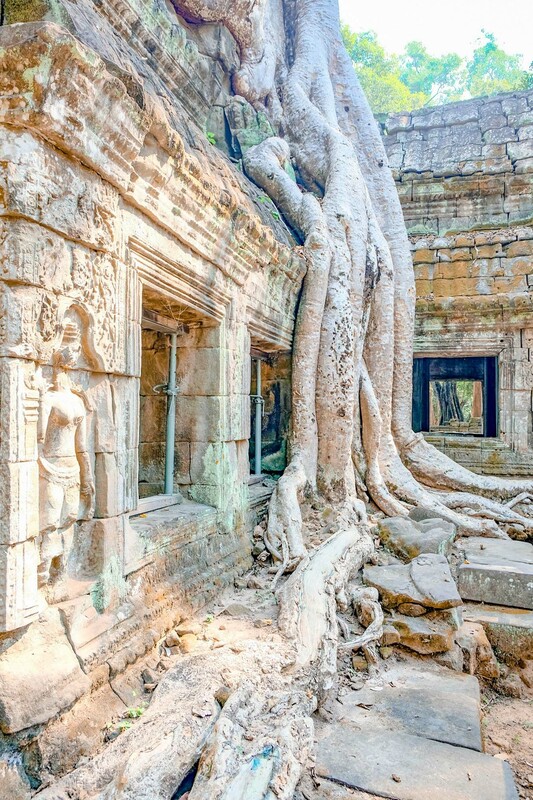 Ta Prohm offers a very different experience to Angkor Wat and Bayon, as most of the ruins are still covered in jungle moss and trees are still growing between and on top of the buildings. It has more of a unique and otherworldly feeling, making you feel like you’ve really stepped into another world or back in time. During it’s peak, almost 80,000 people maintained the temple. 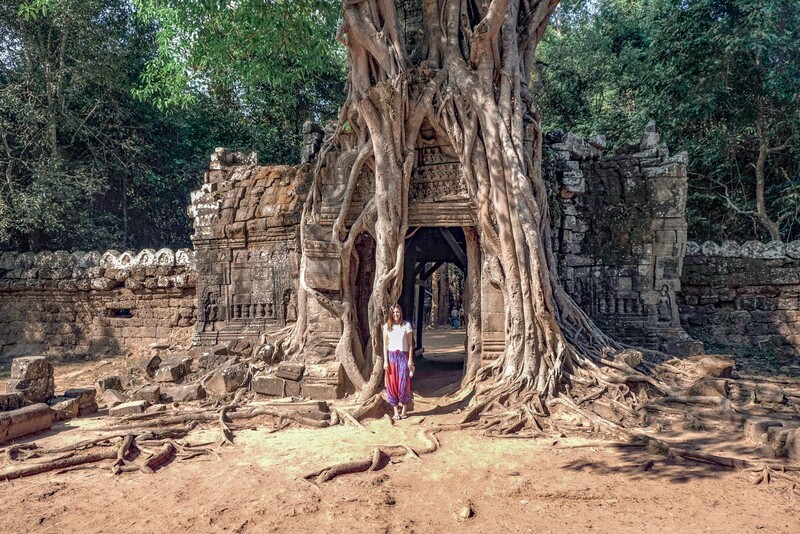 It’s a good idea to visit Ta Prohm early in the morning, as most crowds arrive around midday. And allow as much as two hours here if you’re planning to explore all the nooks and crannies. This relatively unknown temple might just have been one of my favourites. 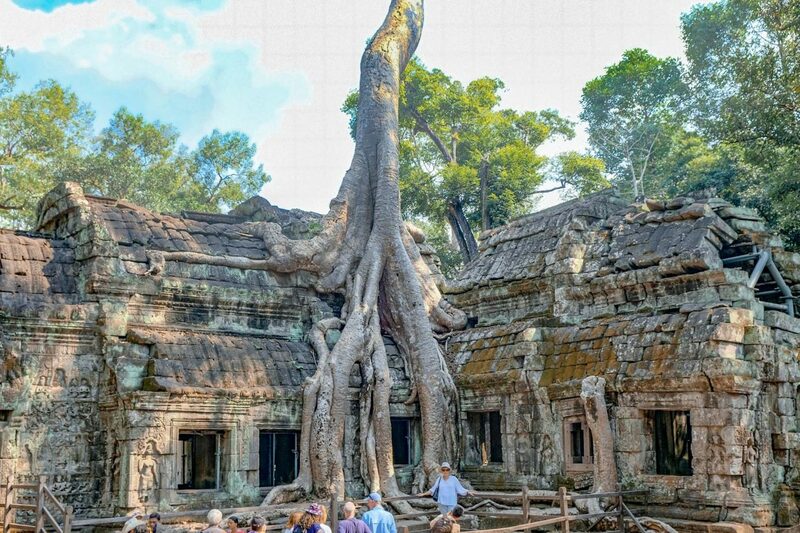 It has a similar style and structure as Ta Phrom, with many trees growing on and through the buildings. The highlight of this temple can be found if you walk all the way through the grounds, right to the back – where you will find a huge tree that is growing on top of the eastern gopura (which translates to entrance pavilion or gateway). It is slowly destroying the building, but it is definitely one of the top places for photos, with the roots of the tree extending across the floor. 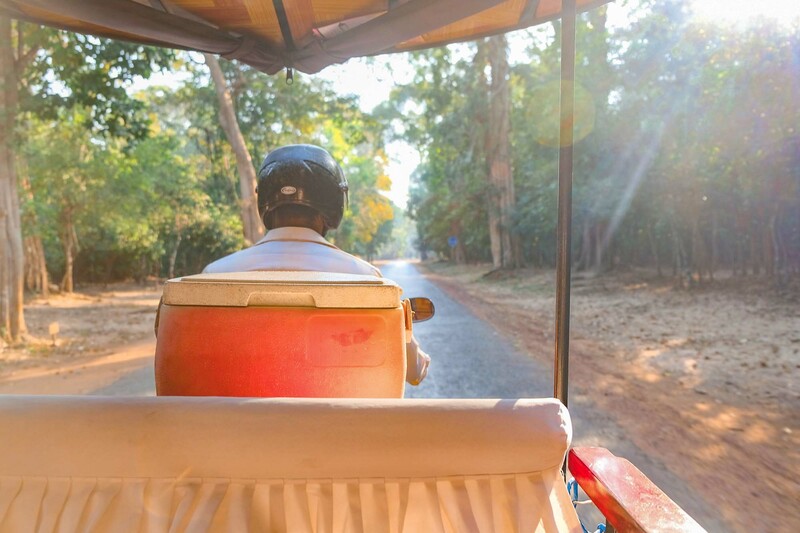 There are a few different ways to make your way to the temples of Angkor. Here are the most important things to remember when you’re making your decision though: No matter what time of the year you visit, Siem Reap is HOT, the temples are HUGE and spread out over miles, and you probably want to see as much as you possibly can over however many days you have a temples ticket for. The easiest and most popular way to get around is to hire a tuk tuk driver for the whole day. 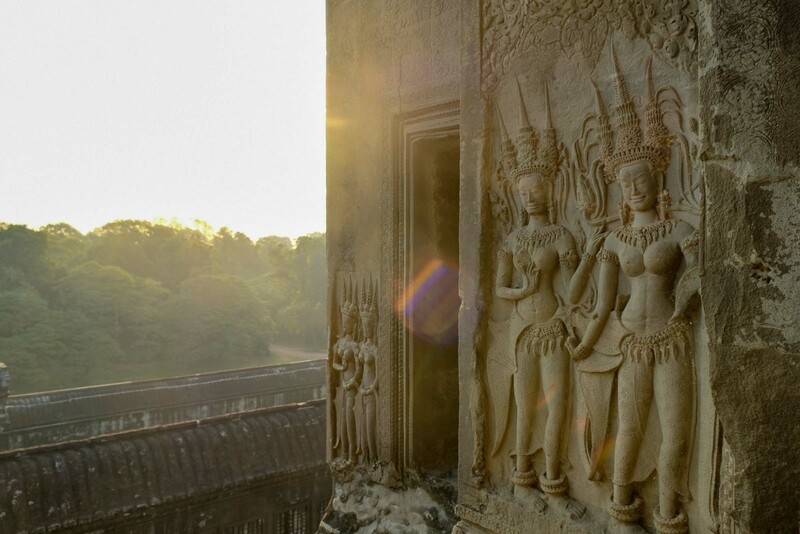 They cost about $15 USD for the whole day, or $20 USD if you’re starting the day with the sunrise at Angkor Wat, and can be organised by your hotel. We had a fantastic tuk tuk driver for our whole time in Siem Reap. He would pick us up from our hotel and drive us around all day, showing us all the highlights of the temples and the city of Angkor. He would literally spot us coming out from the temples from ages away and be ready waiting for us as soon as we got to the pick up point with a cold water and chilled wet towel to help us cool down. We really loved having the same driver for our whole trip – each day when he dropped us off at our hotel we would make a plan for the next day, and he would be there smiling to greet us in the morning. If you prefer a little more comfort, you can also hire an air-conditioned car and driver for the day. Depending on the hotel/tour company that you book with, a car or SUV can cost you anywhere from about $40USD to $65USD for a one day tour. Being able to jump into the air conditioning after each temple would definitely be relief from the midday heat, and might be something to think about if you are extra uncomfortable in high humidity. 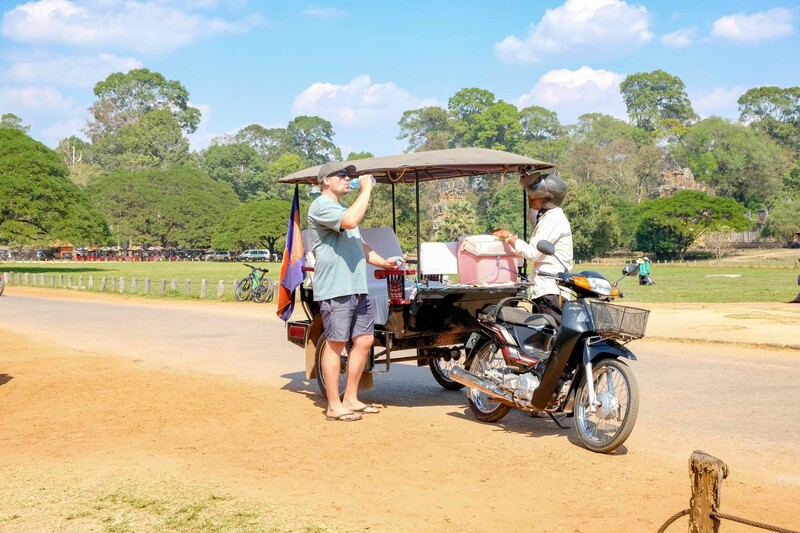 The last way that we saw people getting around (which we definitely don’t recommend) is to rent a bicycle and ride out to and around the temples of Angkor. The reason I wouldn’t recommend this is because it is SO HOT in Siem Reap. I know we’ve said it a lot, but it’s definitely not an exaggeration. We visited during the ‘coolest’ month of the year, and it was still over 32°C most days and we would come out of the temples dripping in sweat. Riding around the temples might sound like a good idea in theory, but the temples are actually located almost 7km away from Siem Reap (about 20 to 30 minutes by tuk tuk), and then they span over HECTARES. Riding around in that heat can actually be dangerous, putting you at risk of heat stroke, dehydration or exhaustion. Grab a tuk tuk or car and enjoy the break and the breeze in between each temple. To visit any of the temples, ruins or sites in Angkor you will need to purchase an Angkor-Pass. There are three different options of tickets that you can purchase, depending on how long you want to visit the temples for. A 1-day ticket costs $37 USD per person, 3-day tickets cost $62 USD per person and finally if you’re planning a longer stay, a 7-day ticket costs $72 USD per person. There are no student discounts, but children under 12 years old are free of charge. And if you’re a Cambodian local, a visit to the Angkor temples is free! The 3-day and 7-day passes actually do not need to be used on consecutive days. A 3-day pass can be used for 3 days across one week, and a 7-day pass can be used for 7 days across one month. Credit and debit card facilities have recently been introduced to the Ticket Centre, so you can now pay for your tickets with Visa, Mastercard, Union Pay, JCB, Discover and Diners Club. However, as always, it’s a good idea to take some cash with you just in case of any issues. Everyone visiting the temples of Angkor will need to purchase a ticket from the Angkor Ticket Office, which is open from 5am until 5:30pm each day. Depending on your method of transport, your driver will generally take you to the ticket office on your first day of visiting if you tell him you have not got a ticket. 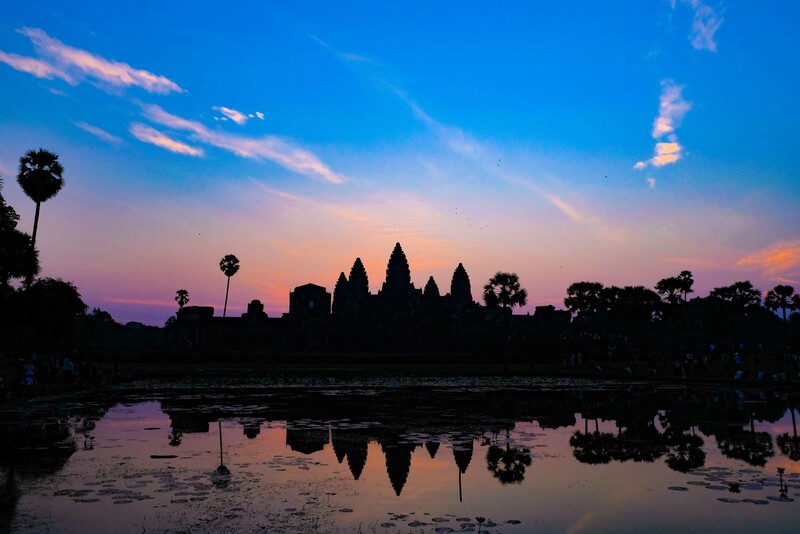 Keep in mind, if you are only planning to purchase a 1-day ticket and you want to see the sunrise at Angkor Wat you will need to purchase your ticket the night before, as the Ticket Office will be closed on your way out to the temples. Tickets are not used until your first visit into the park. The ticketing for Angkor is actually very strict. You will be asked multiple times throughout the day to show your pass, so make sure you always have it within easy reach. 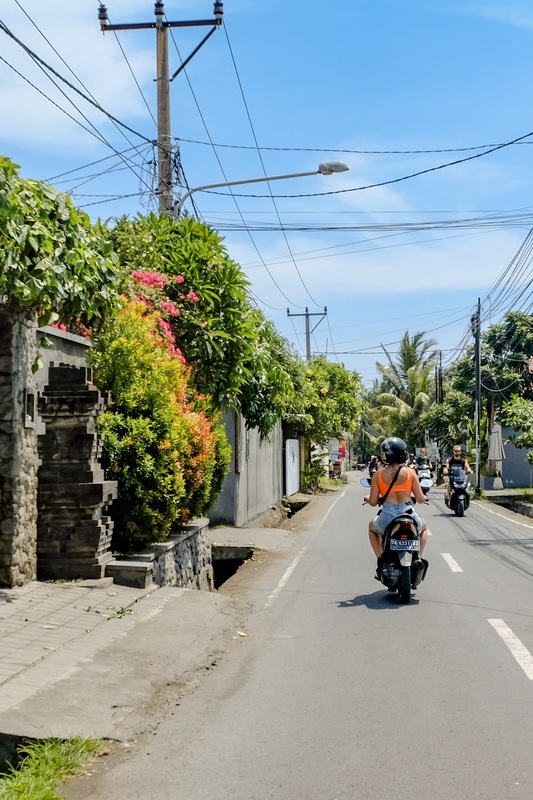 Not only will you be asked to show your pass when going into a new temples, but there are also random check points on the road where your tuk tuk driver will need to pull over for you to show your ticket. An Angkor-Pass is not transferable to another person and actually includes a photo of you, which is taken when you purchase the ticket. You will also need to show ID when purchasing your pass, so make sure you take photo ID with you on your first day – either a drivers licence or passport should be fine. Super important – be careful not to lose your Angkor-Pass during your visit, including while you are on an Angkor site. The penalties for a lost ticket can cost anywhere from $100 – $300 USD, which does not include a new ticket for the rest of your visit. It’s important to wear appropriate clothing when visiting the temples, to show respect to the people and sites you’re visiting. Long pants (covering the knee) and shirts that cover the shoulders. Skirts, small shorts, tank tops and other items of revealing clothing are not allowed within the temple grounds. 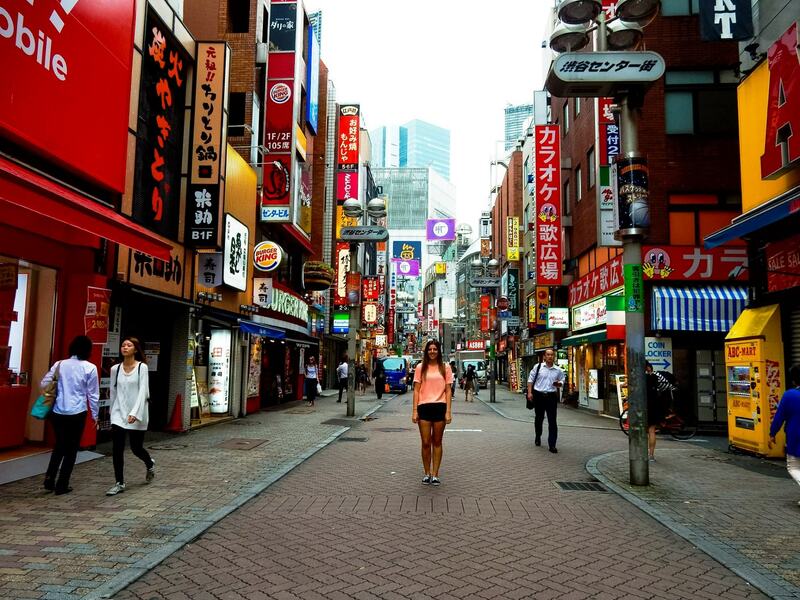 Visitors can and are frequently turned away from temples when wearing revealing clothing. The heat can be the difficult factor in figuring out how to dress. Each day that we visited the temples I wore a t-shirt to make sure my shoulders were covered. 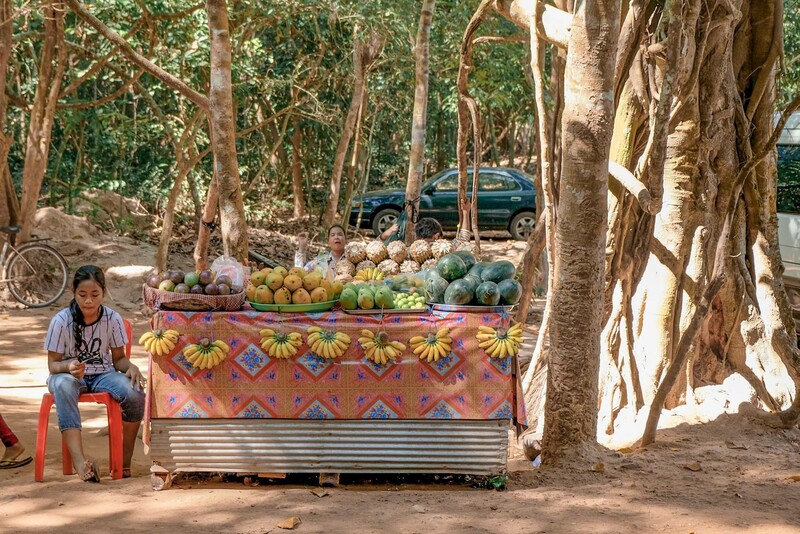 One day I wore a pair of those super loose typical Southeast Asia colourful pants – if you don’t have any you can pick them up at the markets in Siem Reap or the Angkor Ticket Centre. On the second day I wore a pair of loose shorts, and then over the top I wore one of those wrap skirts – again that you can buy at the markets. They were both super light and helpful to keep cool during the day. Important: It is important that if you are wearing one of those wrap skirts they have a TIE at the top to tie into a bow, and you’re not wearing a shoulder wrap as a skirt. This is super important, especially when visiting Angkor Wat. To enter the Bakan Sanctuary at Angkor Wat, where you can climb to the top and see 360 views of the area, they are even stricter about dress codes than just getting into the temples generally. A woman in line behind us was refused entry because she was wearing a shoulder wrap as a skirt. They are very specific and thorough about this – I would have never guessed that this girl’s wrap wasn’t actually a skirt and actually thought hers looked even more like a skirt than mine did, but they would not budge about it and she wasn’t allowed up. Thom generally just wore a t-shirt and shorts each day that we visited the temple. It was super hot, so pants where a little out of the question, but his shorts sat just above the knee pretty much and we never had a problem. A couple of times he was asked to remove his hat, but that’s no problem at all. We both also wore thongs every day of our visit, so we didn’t find any issues with footwear. 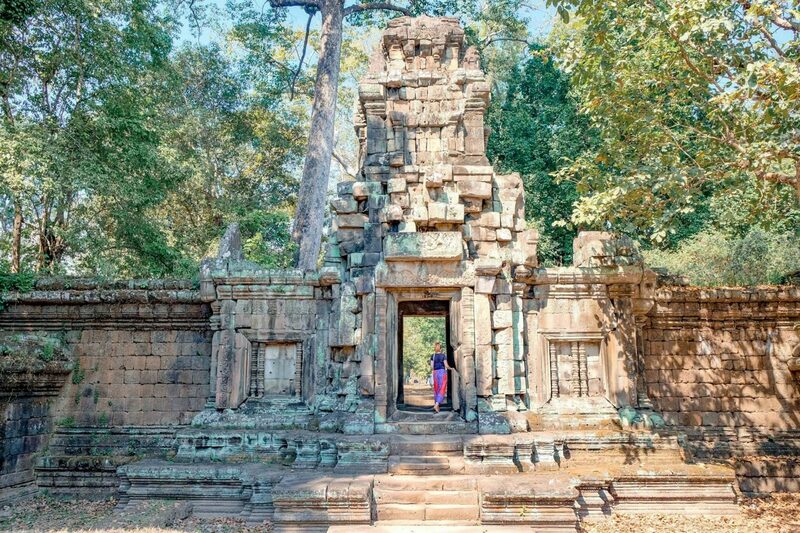 Different temples and places around Angkor are open at different times, so it’s a good idea to plan your route accordingly to get the most out of your visit. 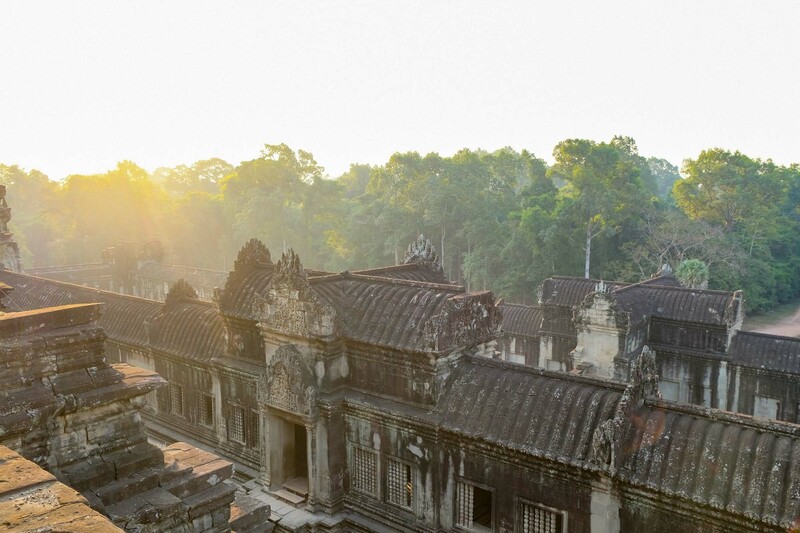 The upper level of the Bakan Sanctuary in the centre of Angkor Wat is open from 7:30am each day. 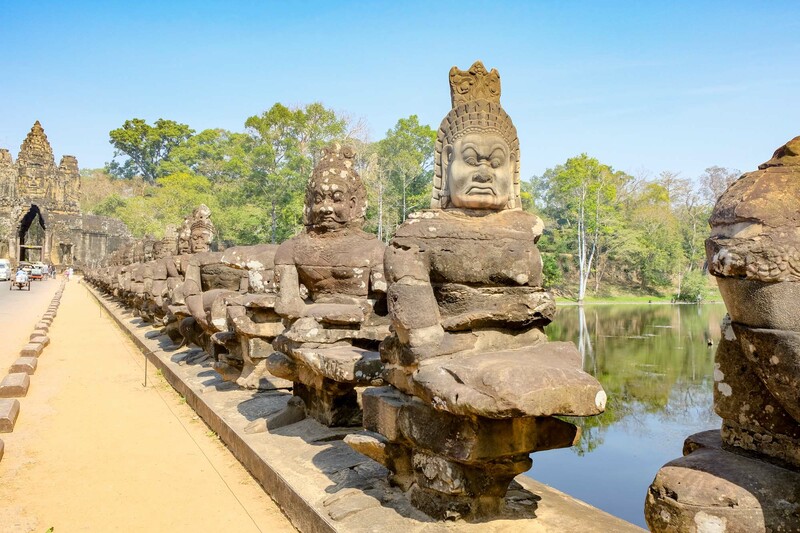 With the exception of Phnom Kulen and Beng Mealea, you will need an extra ticket to visit these. The best time to visit Angkor is between November and February, when the weather is a little drier and cooler. Make no mistake though, it is still incredibly hot at this time of the year, there is just a little relief from the high humidity that you would experience at other times of the year. The average temperature during this time is still over 30°C so make sure you dress appropriately, but coolly and bring enough water to keep you hydrated. 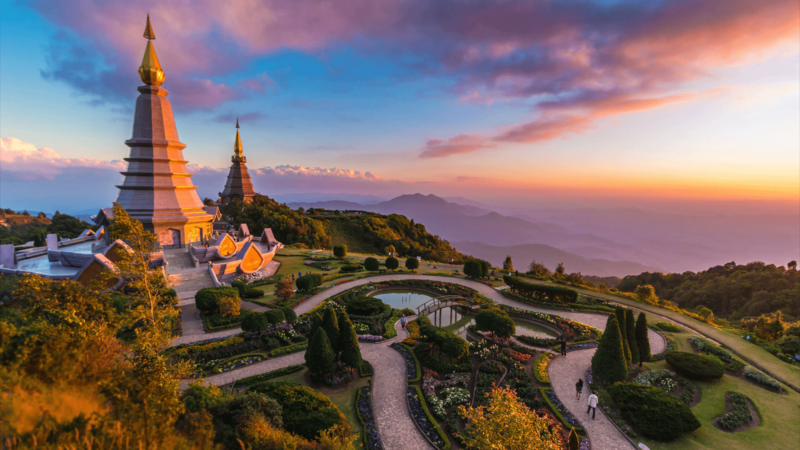 When visiting the temples, generally the best times to visit are around sunrise or towards closing, when the crowds are a little thinner and the temperatures are a little cooler – or during lunchtime, when many of the large tour groups go into town for lunch. 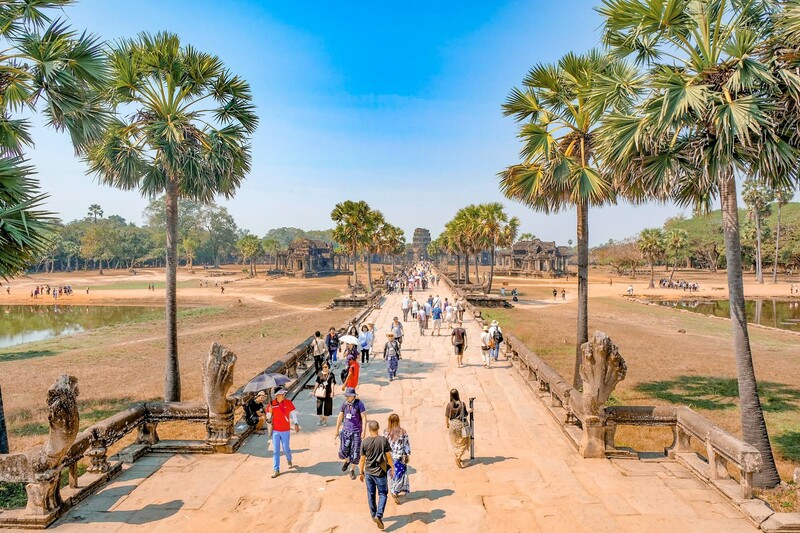 However, you will find that there are strong crowds everywhere you go, no matter what time of the day, as Angkor still sees millions of visitors each year. 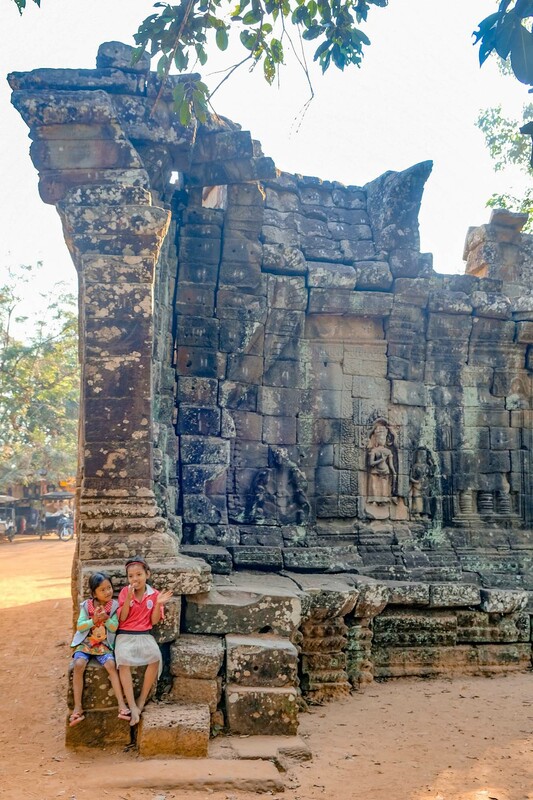 As you tour the temples of Angkor, you will come across countless children that will try and sell you magnets, postcards or guidebooks. The sad reality is, many families are struggling to make ends meet in Cambodia, and these children are not given the opportunity to receive an education as parents send them to work at very young ages to help support the family. As can be expected in an area with such high tourism, many children end up selling near tourist sites or resorting to begging for money. While they may work very long hours, the items you purchase from these children do not support their education or way of life. You will actually see signs all around Angkor which actively discourage you from purchasing items from these children, as it does more harm then good. It can be difficult, as the kids have no fear about getting up in your face and putting on the puppy dog eyes, but it’s important to remember that buying items from them encourages their parents to continue using them to sell and encourages their way of life. We spent three days exploring the temples of Angkor, and to be honest we probably could have spent even longer if we had more time! They are absolutely incredible and a very unique part of the world to visit and explore. Have you been to Angkor? What was your favourite temple to explore?